This entry was posted in Fashion and tagged .AiShA. 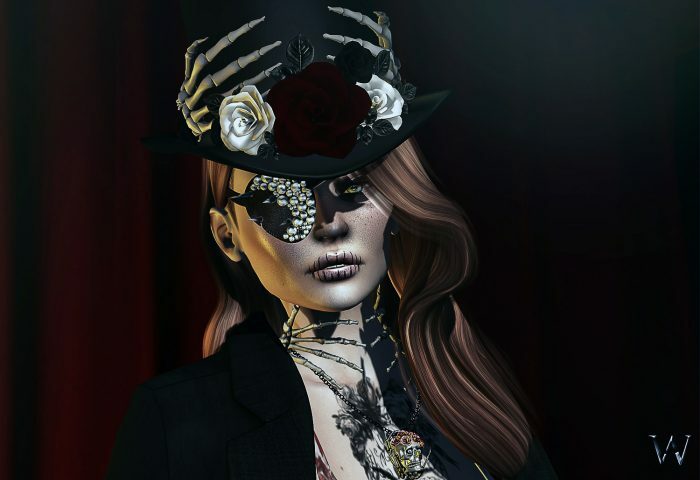 aisha, 3D, 3D people, Arise, Ariskea, Art, avatar, Bento, bento hands, bento head, bento mesh, BEO, Blog, Blogger, candle, candles, Cb, ChiC Buildings, christmas, Clothing, COCO, Couture, elise, EMO-tions, eMotions, Fashion, Fashion in Pixels, fashion poses, Female Clothing, female wear, Hair, High Fashion, Holidays, Holy Days, Jewelry, La Catrina, latin, LeLutka, Los Dias de los Muertos, Maitreya, Mea Carnell, mesh body mesh head, meta virtual, Meva, mexican, Mirja Mills, Model, model pose, Model Poses, Modeling, Modeling pose, Modeling Poses, New, New Release, New Releases, News, Paperdoll's, photographer, POCHI, Pose, S&P, Salt & Pepper, Scandalize, Second Life, Secondlife, Shanty Bookmite, skull, SL, SL Clothing, SL Fashion, SL Style, Style, sYs, Utopia, utopia@design, Velika Rituals, Virtual World, Wicca Merlin, woman, XXSaltandPepperxx. Bookmark the permalink.